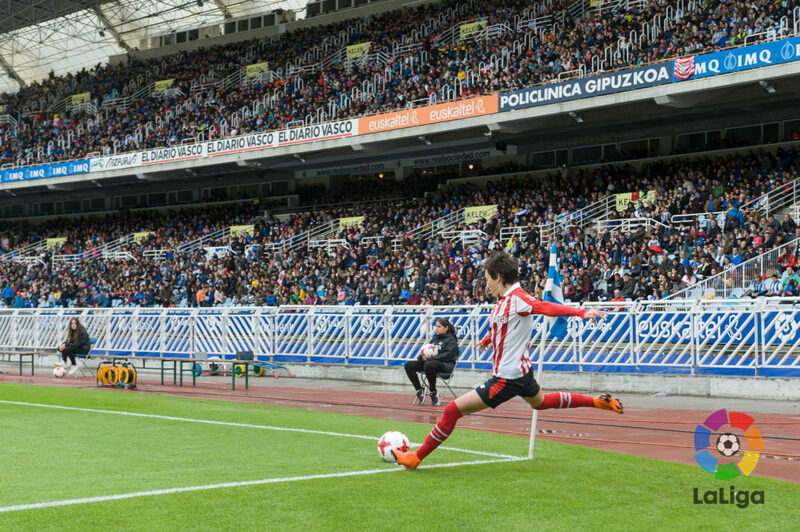 Women’s soccer in Spain is on the rise. 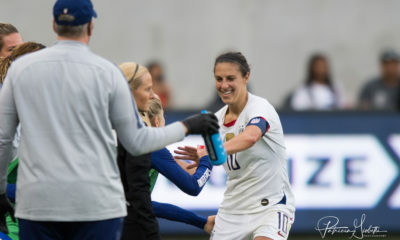 The senior national team qualified for the Women’s World Cup for the first time in 2015, and will return to the tournament in France next year with experience under its belt. At the youth level, Spain is among the most dominant European teams at the U-levels, winning its fourth Under-17 European Championship in 2017 and, in the same year, its third U-19 European Championship. Spain also finished second at this year’s U-20 Women’s World Cup. Progress has come at the club level, too. 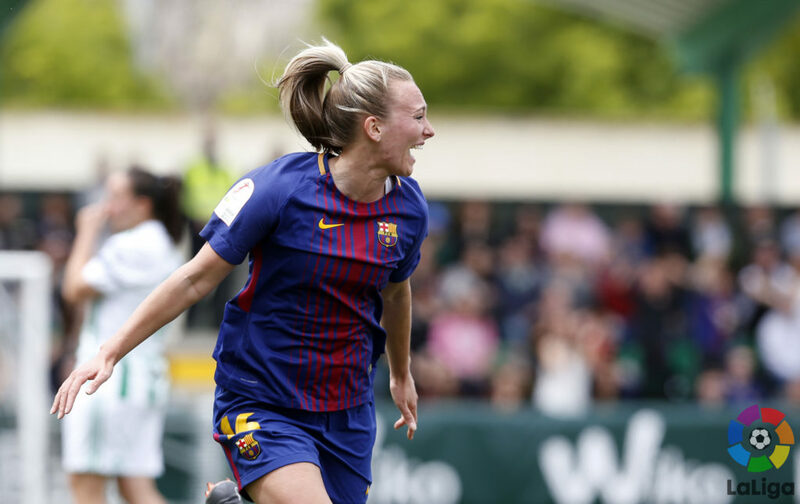 The top end of Spain’s top flight, Liga Femenina Iberdrola, has grown in ambition as it begins to chase European silverware. Atletico Madrid is an up-and-coming team that was humbled by Wolfsburg in the 2017-18 Round of 16, but FC Barcelona – which has made significant investments to attract top European talent – made the quarterfinals last campaign, playing eventual champions Lyon relatively close. Much of the on-field success of the Spanish top flight can be accredited to the investments being made off the field. 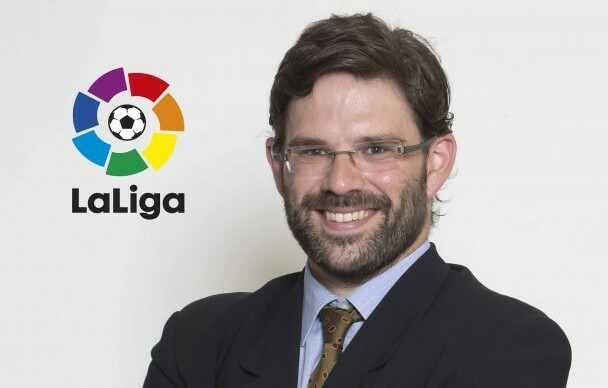 Pedro Malabia is LaLiga’s women’s football director, a role in which he leads efforts to professionalize the women’s game in Spain. I recently spoke with Malabia about all things Spanish soccer. 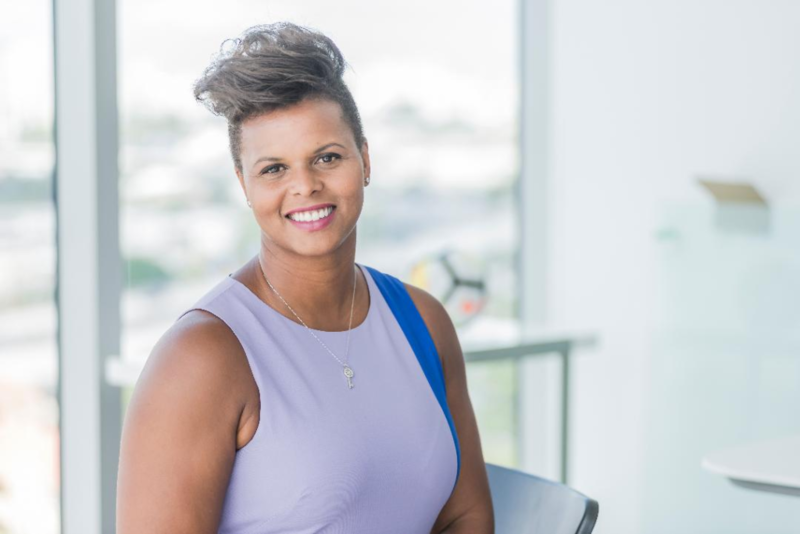 Malabia will also be on the Soccerex panel I am hosting next month to further discuss the commercial development of women’s soccer, a topic we speak about in depth in this interview as it relates to Spain. What’s the overview of Liga Femenina Iberdrola, for those not as familiar? Pedro Malabia: Women’s football in Spain is currently run by the federation, so it is like U.S. Soccer [running the National Women’s Soccer League] in the States. So, you will then ask, why is LaLiga in there? Because LaLiga is the company that is running men’s professional football in Spain. But, three years ago, our president started this project, that LaLiga had to be involved in the development of women’s football. There were three reasons. First of all, men’s professional football never pays attention to women’s football — never helped women’s football. 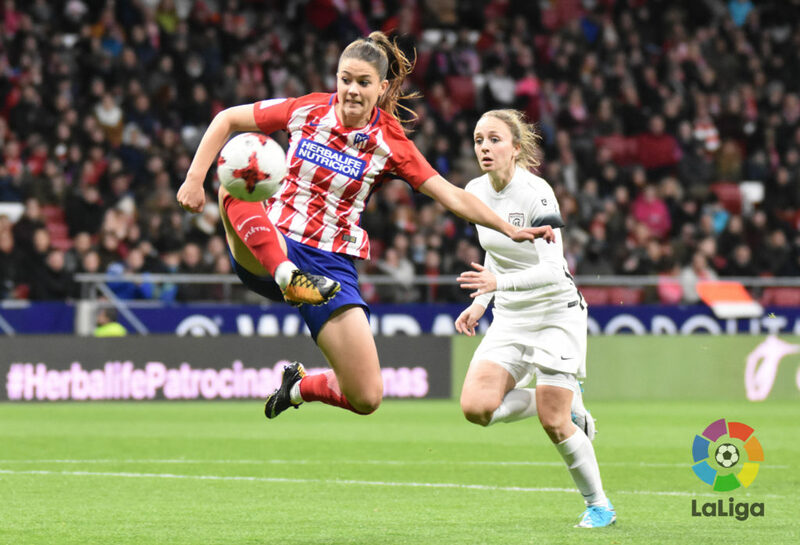 So, there was a pending issue with men’s professional football and our president was always saying, ‘we are sorry for that and we need to change that.’ Men’s professional football, the flagship sport in Spain, should be helping women’s football development. The second reason is, the commitment of using men’s professional football, this window, this big sport, to help women’s empowerment – to place women’s football in the place it should have always been. It was like using the power of football to help women develop. The third, and one of the most important ones, is that many LaLiga clubs and many men’s professional clubs in Spain have women’s football. They had projects investing in women’s football, but there was nothing surrounding. The competition being held was one without any attention, without any TV, broadcasting, sponsors. So, we had the problem that on one hand we had Barcelona, Atletico Madrid, Valencia – these big teams in Spain – trying to develop women’s football, but, on the other hand, the competition – the environment – didn’t help. It was not stable enough or attractive enough to keep on going. So, LaLiga wanted also to help their clubs to grow on the women’s side. We decided to start this project, a dedicated department within LaLiga, which I am leading, which is the women’s football department. We are able to allow clubs to create women’s football projects, to develop new women’s projects, to grow new women’s projects. And also, we are working together with them in developing Spanish women’s football. Creating an attractive product, caring for the TV product. We are working on many other things in order to professionalize the sport. How many men’s teams operate women’s teams in the league right now? PM: When we started this in October 2015, we had 19 out of 42 clubs that form LaLiga first- and second-division men; now we have 31. It demonstrates that the clubs are really interested in this world. 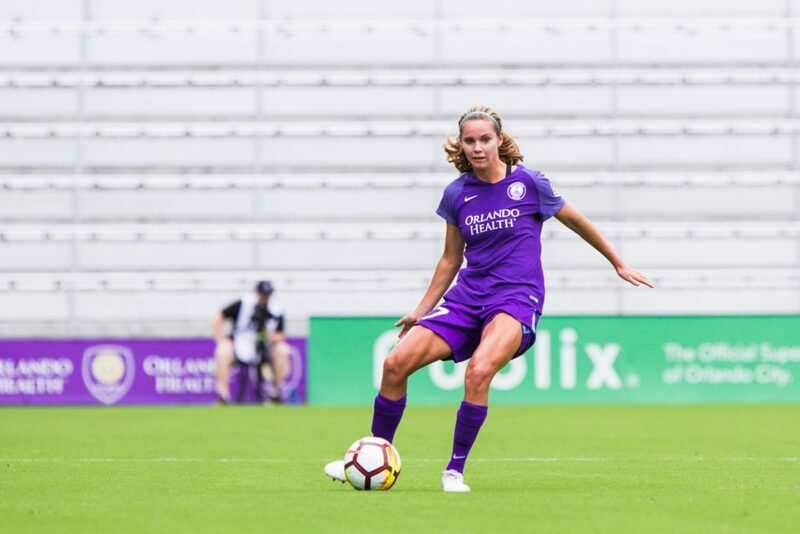 A big topic in the NWSL is what the best model is going forward – partnering with men’s clubs in MLS or USL, or going the independent route. Do you see the men’s-women’s club model as the business model going forward? PM: In Spain we have a first and second division [for women]. The first division is composed of 16 teams that are playing two rounds [against each other]. Then we have the second division, which will be reformed. Next year, there will be two groups of 16 on the national basis. And then we have the Queen’s Cup. Regarding your question, of the 16 teams that are in the first division, we actually have 12 that are linked to LaLiga clubs, to men’s professional football. Another four are independent clubs; they are not linked to men’s professional structures. What I believe is, of course, if you compare an independent club – which is more like a family club or a small-town club with limited resources – to Barcelona, to Atletico Madrid that are huge companies with millions of Euros of budget, of course it will be tough for an independent. I think it helps that the big [clubs] are driving into this world, because they will help development. They can invest. I think we need to find the right balance. We cannot forget the place and the importance of the independent clubs. But of course, it will be like life itself – it will be like the jungle. If you are small, you need to be smarter than the other ones and work harder. It’s not the first time; Leicester in the Premier League [won] the league against big Arsenal, Chelsea, Manchester City. It’s not only about the money. How do you see the level of the league comparing to the rest of Europe? 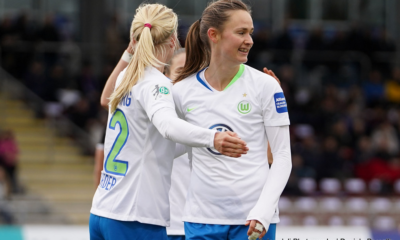 France is known to be a two-team league, Germany a bit deeper, FAWSL coming on strong. Barcelona has made a Champions League push; Atletico was humbled last year in the Round of 16. PM: The first thing is, we respect them a lot. We have to be humble, because they have a lot of experience and history. I believe Spain has always had good balance in their players, but once again, the environment of the league was not right enough for them to develop. Now, with all this work that we have done in LaLiga helping women’s football, has led to finding five or six teams that are behaving professional. Players are training in the morning like the men, they are only dedicated exclusively to football. They can, of course, study. In the end, it’s all driving to a better competition. They are better players, athletes; they are caring for their nutrition. This will help us to compete on the pitch, which we are not so far away, but maybe far away from those countries, only by the physical side. 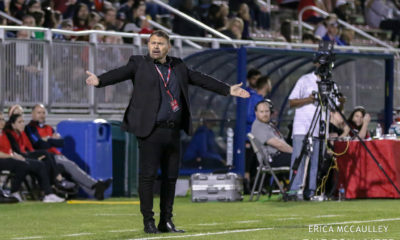 On the other hand, we are doing a good job with the product – the development of the league and the professionalization of the league as a product. The UK is doing a good job on that, creating a good product with the WSL. Germany, they need to change the mentality of the league. They need to focus now on the marketing side. The thing is, I think we have something that will help us: We have most of the top brands in European football. I think this will help us regarding sponsors and regarding visibility. You mentioned five or six teams behaving professionally. What does that look like? Is every team fully professional in the sense of paying players full-time? PM: First of all, we helped the clubs create a club association. So we have a club association here in LaLiga with all the clubs involved in women’s football. One of the first positions we took was, ‘OK, we need to make sure that everyone who earns money in the league is sustained by a football contract.’ This was not the case in Spain three years ago. We decided now that it needs to be mandatory, so everyone who pays the players needs to make this with a professional contract. Fully professional, I would say we are growing. I cannot tell you the number of clubs who I would say are fully professional. I think we are reaching to the place where we are changing this mentality of players working, studying and also playing football to playing football and also studying. In some small cases, they also work. I would say in a few years we can say that they will be dedicated to football only, which is something not exactly the same as earning more or less money, but they can be dedicated exclusively to football. 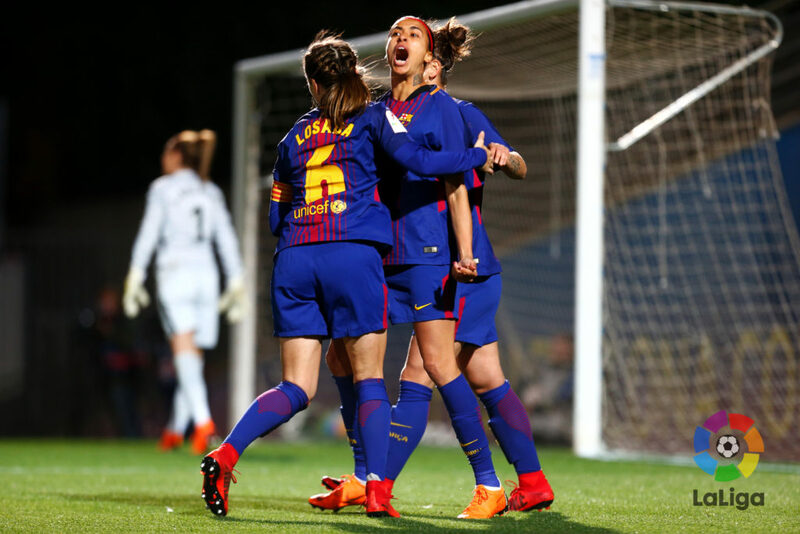 With some of the big signings at Barcelona in particular – Toni Duggan, Lieke Martens – what does the pay structure look like, at least at the top end there versus the highest end in Europe like a Lyon, who pays quite well? PM: I would say we are still far away from that point – from the big ones. From Lyon, PSG, Bayern Munich, Arsenal, Manchester City. We are still far away, but everything will come. Barcelona, I would say, is one of the richest clubs in the world. So, I think we are growing step by step. All the clubs are understanding that they need to invest in their projects, but on the other hand, the environment needs to help them understand this. We are still far away, but Barcelona, for example, reached the quarterfinals of the Champions League [in 2017-18]. So, on the pitch, they are not so far away. On the salary basis, we are still growing on that. We still need some time in order to reach those levels. Is it somewhere in the middle? 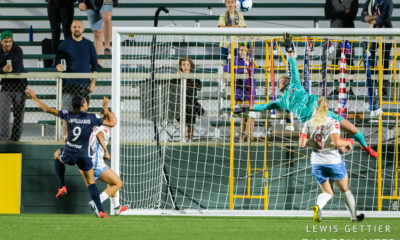 A really ballpark average for a player in the NWSL is around $25,000 USD per season. That’s only a six-month season. How might that compare? PM: I would say the average is lower. I don’t have all the figures; I would say the top clubs are starting to have good salaries and create good opportunities for the players. The rest of them are still developing on turning into professional from that level. What about academies for these clubs? Has that been a heavy focus and investment? And is that where we are seeing Spain be so successful at the youth levels? PM: Spain, on the men’s side and the women’s side, is well-known for its methodology and its work with the youth. Most of the clubs have a complete structure of teams in their academies. I’m talking about having 12 or 14 teams in their academy, starting from U-6 up to the first team. The Spanish teams are really investing and really believe in the worth of the academies. Of course, the success of the U-17s in the Euros, the U-19s in the Euros or the U-20s in the World Cup, is first of all a success of the national teams and the national coaches, who are doing a fantastic job with the players. But we cannot forget that the players spend most of their time with the clubs. The clubs have done a great job creating these players and developing these players. Year by year, they have better coaches, they have better facilities, they have better conditions. I think it’s the result of the growth of women’s football in Spain. How much of Spain’s national-team success – youth and senior team – can be linked to LaLiga’s investments? PM: In this case, I would say it is a merit of, first of all, the players. We have three main actors in this: the players, the clubs – that are investing, training, giving the best opportunity to develop in the academy – and the national team and the national coaches. They are working very good with them. LaLiga has nothing to do with it. LaLiga is only helping to grow the environment and helping the clubs. The main drivers of all this success are the clubs, the players and, in the case of the national team, the national coaches. What is your vision for Spanish women’s club football five or 10 years down the line? PM: Our strategy is focused on four pillars. The first is professionalization and development of those structures of the club. We believe that we need to invest a lot in the professionalization of those clubs – of the management side of the clubs. We invest a lot of resources in giving money to the clubs so that they can hire staff on the digital side, on the marketing side, the financial side, so that they can be structured to develop in this professional environment. Second is visibility. We have a very strong digital, in-house department that is really focusing on content regarding women’s football. We decided to put all the power and all the resources of LaLiga toward women’s football, so you can find on LaLiga’s website its own section for women’s football. We are using our social networks also to create buzz and momentum for women’s football. 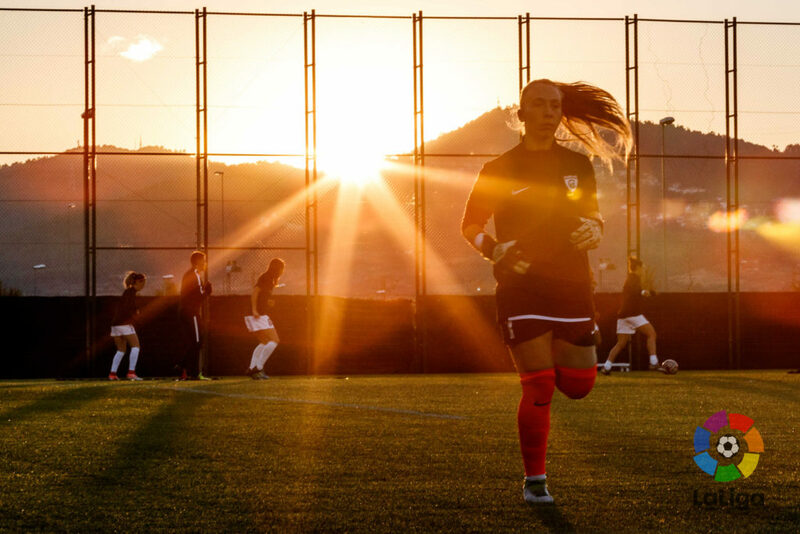 We really believe that digital is one of the key drivers for women’s football. The third is creating a product; we are building. It’s not about girls playing football; it’s about a product. You guys in the U.S. understand that better than anyone. The U.S. women’s national team is the best women’s sports product in the world. We need to focus on creating an attractive product for the broadcasters, for the fans, for the sponsors. We are really focusing on and investing in the technology for the broadcasting. We introduced for the first time the sky cam in one of the broadcasted matches. What we share with the world has to have quality. We need to add value to this project, because if not, it will be impossible to grow. And on the fourth side I would say international expansion. It’s very important for LaLiga to be part of this growth of women’s football, to help other federations, to help other leagues – a knowledge exchange between leagues. We believe we are not competitors. We are now in the same position. We need to grow together. Let’s say in 20 years the leagues will be competitors. But, actually, we need to put women’s football into the spotlight. We have agreements with the Swedish league, the Nigerian league, the Japanese league. We are working together with other leagues to grow together, to develop together, to activate together. We’ve heard a lot about FC Barcelona’s interest in the NWSL. Is the U.S. market of focus there when you talk about international expansion? PM: For me, this is the future, this joint collaboration between leagues. We have the same objective: growing women’s football. We have other strong entities that are in the market, and we need to show the world that there is some girls, some women that are athletes that deserve attention. I believe that the more together we are, the stronger we are. Of course, the U.S. market is a key market for LaLiga itself. I believe women’s football can be one of the links that can make a success for both leagues. What do those partnerships look like with those other leagues you mention? PM: It depends. With Nigeria or in Guatemala – in Brazil we have done something. In some cases, it’s about helping those leagues develop. How to create competitions, how to enhance, how to inspire them and teach them, work with their managers. In other cases, with top leagues, it’s about learning from them. It’s about activating together and joining forces. With Japan, for example, we are working on playing friendly matches and creating joint activation on the digital side with the players. It depends. It can be a global assessment, or it can be working together on developing women’s football. We’ve talked about big clubs in our chat here. One that constantly comes up in the media and among fans is Real Madrid and its lack of a women’s team. Do you foresee a time when all clubs have a women’s senior team? PM: When we began this project, we had two possibilities regarding our clubs in LaLiga. We could have made the approach that CONMEBOL made, for example, that it is mandatory for all clubs to participate in Copa Libertadores to have a women’s team. I really don’t believe in making something mandatory, because if you don’t believe in something, you don’t need to do it, you won’t care for it. I think it will be worse for women’s football. We need people that really believe in women’s football, not brands are obliged to join women’s football. What we decided is, our obligation is to create the best environment possible so that everyone wants to be there. We are not forcing anyone. Three years after, I think it was the right decision, because we were at 19 [teams] and now we are at 31. Most of the LaLiga clubs are interested in women’s football. Regarding Real Madrid, we never forced Real Madrid. I know that they know about the pressure – the social pressure – of joining. It’s a big club and we need to respect how they make decisions. I’m sure that they will look after this and analyze it. They will decide when and how. It’s about helping them when they want to join. You mentioned the Spanish federation’s involvement. 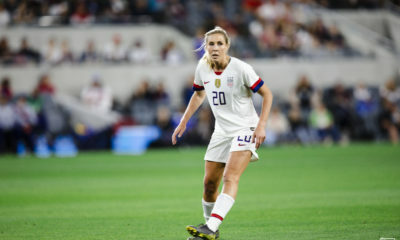 Here, U.S. Soccer pays the NWSL salaries of its national team players. Is that the same in Spain, or is the federation just handling the logistics of the front office and the business side? PM: The Spanish federation is running the front office, all the competition, the referees. The clubs are the ones who are driving all the rest of the business. They care for everything. We are in a position where we are really focusing on our clients, the clubs. We are focusing on helping the clubs grow. We believe that the clubs are the engine of this project and of every competition. Finally, who is the target fan for Liga Femenina? Is it adults, youth, both? There’s a lot of talk here about needing to market to adults as sustainable fans spending disposable income. I’m also wondering if you’ve had to overcome any stereotypes regarding women’s football in Spanish culture. PM: We need to focus on the football fans. We have one thing that is helping us – we have these big clubs that have a strong fan base. What we are now achieving is, the fans that are following the men’s teams also are proud of the women’s teams. With this, we are getting a lot of fans. Valencia fans, if they follow the men’s team, they are now also following the women’s team, because it’s the same club, the same crest, the same team. I think one of the mistakes that people make is [to assume] that women’s football is followed by women, and men’s football is followed by men. Our broadcasting figures show clearly that the percentage of men and women watching men’s football and women’s football is quite similar. Slightly higher on the women’s side for women’s football. This is also one of the mistakes regarding marketing. People think, ‘OK, let’s go to brands that are focused on women’s products.’ No, the target is the football fan. What we decided also was to create a strong league, a strong first division that will inspire the young generation. It will get young girls to say, ‘Dad, I want to be there. I want to play in this big stadium.’ When you catch this with the girls, you catch the whole family. On the other hand, we also need to focus on the quality. If the quality is right, if you like football, you like women’s football and men’s football. You like both.